The newspaper was microfilmed white on black background and was difficult to read. Some initials may be wrong because of that, but I have tried my best to copy it. Submitted by Gene Williams. COL. R. T. BENNETT, 14TH NORTH CAROLINA. 1st LIEUT. N.B. FERRY, 51st VA.
CAPT Z.T. ROSS, 13TH VIRGINIA. CAPT. H.W. WINGFIELD, 58TH VA.
LIEUT COL H. W. CECKLEY, 44TH VA.
1st LIEUT J.E. WILLS, 51st VA.
2d LIEUT R.I. WALDRON, 58TH VA.
CAPT. F.M. WRIGHT, 58TH VA.
2nd LIEUT J.A.T. GROSSELOSE, 51st VA.
1st LIEUT WM. R. FISHER, 45TH VA.
CAPT. H.C. GROSSELOSE, 36TH VA.
CAPT C. BAUMGARDNER, 45TH VA.
2d LIEUT P.P. PECK, 26TH VA.
2d LIEUT N.C. REPASS, 51st VA.
1st LIEUT W.P. HOWARD, 51st VA.
3d LT. A. D. GROSSELOSE 51st VA.
2nd LIEUT JK.L. VASS, 36TH VA.
2nd LIEUT G.A. McGEE, 36TH VA.
2nd LIEUT E. BLACK, 36TH VA.
2nd LIEUT M. M. HINES, 36TH VA.
COL. I.T. HOOPER 21st GA.
LIEUT COL. G.M. EDGAR, 25TH VA.
2d LIEUT J.J. GATLING, 5TH N.C.
2d LIEUT. J.R. COX, 45TH VA.
2d LIEUT W. A. BIDDICK, 5TH N.C.
1st LIEUT J.D. IRWIN, 20TH N.C.
2d LIEUT J.N. HANNA, 52d VA.
2st LIEUT J.O. MAXWELL, 45TH VA.
3d LIEUT B.S. HICKS, 45TH VA.
1st LIEUT M.G. WEBB, 45TH N.C.
2d LIEUT J.C. SPANLER, 46TH VA.
3d LIEUT A.A. COX, 26TH VA.
3d LIEUT S.C. McNEIL 46TH VA.
3rd LIEUT J.S. 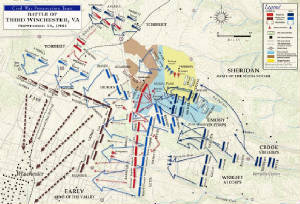 PERRY, 45TH VA.
3d LIEUT J. HUDSON, 45TH VA.
CAPT. F.M. PERRY, 23d VA.
2d LIEUT. J. O. BUCHANAN, 23d VA.
2d LIEUT B.L. WATSON, 5TH N.C.
2d LIEUT H.H. SMITH, 5TH N.C.
2d LT. C.M. CAMPTON, 31st GA.
CAPT L.A. VAWLER, 30TH VA.
CAPT E.H. LYON, 23d N.C.
1st LIEUT J.F. HARRISON, 23d VA.
MAJ. W.S. ROWAN, 60TH VA.
5d LIEUT J.INGRAM 20TH N.C.
2st LIEUT H.M.WARREN, 4TH N.C.
2d LT. T. M. C. DAVIDSON, 4TH N.C.
CAPT N.H. CHADWICK, 2d N.C.
2d LT. J.A. HALL, 53d N.C.
2d LT. J.N. SCOTT, do. 2d LT J.F. CAMPELL, do. It's the "Capitol" that you have never really seen or heard that much about… It's a scrappy, dusty, muddy, unfinished city, begging for respect. Washington City, as it was called then, was both a respite for Union soldiers, as well as the Union Army’s “prostitution headquarters.” From the so-called 'highlife to the lowlife', the politician to the pauper, all receive their respectful, or rightful, place in this delightful but candid prose.